Forming a leading metal stamping technology,complete sets of production equipment,unique rubber formulation process,years of production experience,a high degree of anti-deformation of the structure of production and to adapt to dynamic string axis deviation,and a variety of materials characterized by the integration of the oil seal,applicatied in Mack,MERCEDES,DAF,VOLVO,MAN,Kenworth,Ford,Eaton,Gmc,DACIA,CUMMINS,MITSUBISHI,NISSAN,SAF-SAUER,ISUZU,IVECO and different trailers,heavy-duty vehicles,project machinery vehicles. Zhejiang Shangyu Oil Seal Co.,Ltd is a leading China unitized oil seal manufacturer and supplier, our unitized oil seal factory can provide customoers cheap unitized oil seal products. 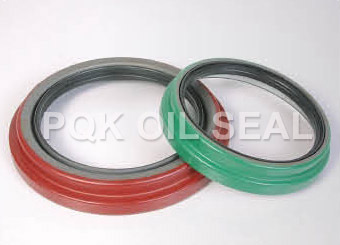 Welcome to buy discount unitized oil seal or wholesale products from us.